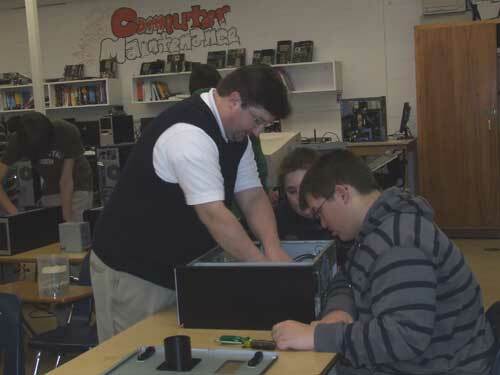 Computer Maintenance is an instructional program that combines classroom and practical learning experiences. The main track in the program gives students a broad foundation in computer technology. The technology portion of the program prepares individuals to apply basic engineering principles and technical skills in support of professionals who use computer systems. It also focuses on the design, implementation, and management of computers, peripherals and associated software, and prepares individuals with the technical skills required to support PCs and their users. The core content of this course is a focus on nationally recognized certifications. 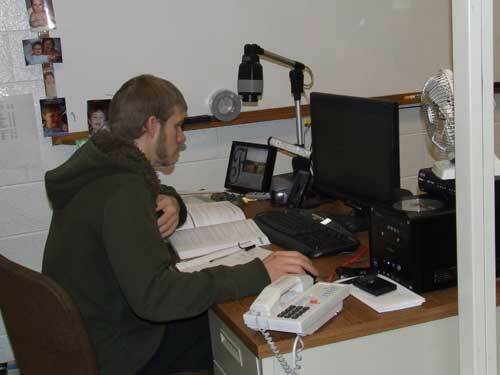 Computer Maintenance is a tech prep program. Upon completion of the program, students may be eligible to obtain up to 12 credits advanced standing at a post-secondary institution. Employment in this field is expected to increase much faster than average. While prospects are best for those with a college degree, demand will dictate that those who have strong hands-on computer skills, but no degree should continue to qualify for some entry level positions. "West Side has given me all of the tools I needed to land a high paying job, right out of high school. Not only am I making a great wage, but my employer is paying part of my college tuition. I have the best of both worlds a great job and the ability to go to college. West Side CTC is a great school." "Upon graduation I will have all of the certifications that will give me a leg up on all the other kids graduating from a regular high school. The best part- it's free!"